Live Greener and Save Money – FREE! 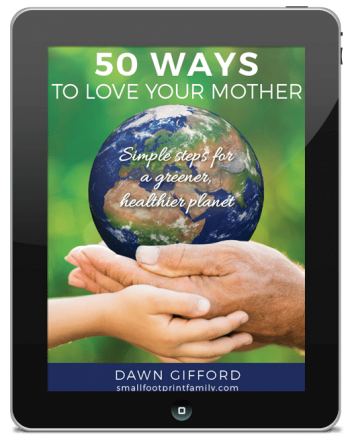 50 Ways to Love Your Mother – Simple Steps for a Greener, Healthier Planet is the green living primer you need if you want to make a difference in creating a healthy world for future generations. 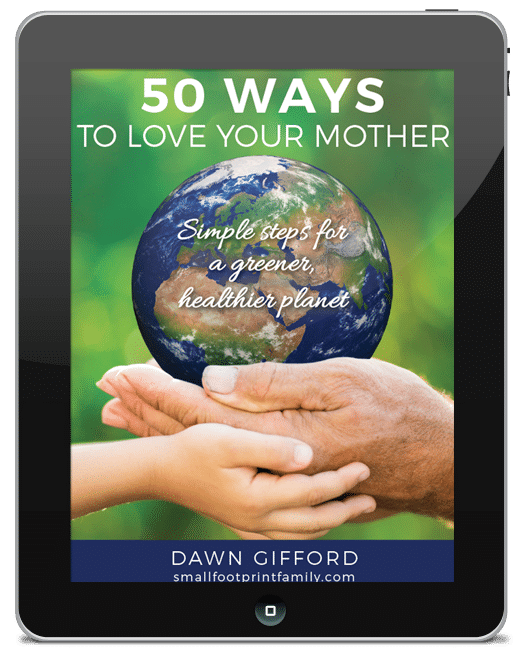 With 50 simple, “entry-level” ways to live a more sustainable lifestyle, not only will these baby steps go easy on the planet, but they will go easy on your wallet, too. And it’s FREE as a subscriber to the Small Footprint Family Newsletter! Please subscribe below, and we’ll send the PDF e-book right to you, plus you’ll also get regular, in-depth green living resources as part of your newsletter subscription.